At Randpark Golf Club, you'll not only have a chance to play one of the best-manicured courses in South Africa, but also be able to take advantage of the onsite hotel and spa. While on the course, you can practice your swing alone or with the help of a professional instructor. The club offers tuition for all levels, with training programs that can be personalized to suit every player's fitness and ability. 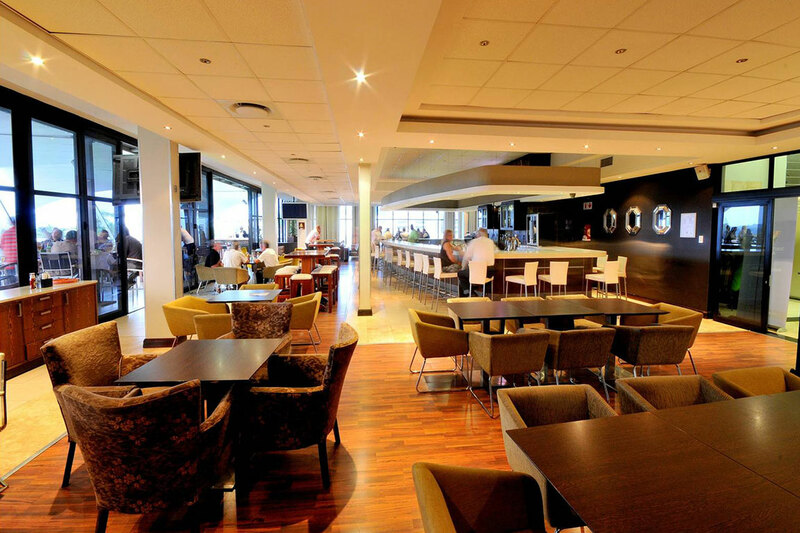 Off the course, you can enjoy breakfast or lunch at the club's trendy bar, which overlooks the course. The club also includes venues for special events, so you can host your corporate meeting or private party in a scenic setting with modern amenities. Using our online itinerary creator, Johannesburg attractions like Randpark Golf Club can form part of a personalized travel itinerary. Spectacular course with unbridled facilities yet quite reasonably priced. Unbelievable feeling like your in the country in the middle of the city. Highly recommended!! Wonderful trail run. Fairly easy, but has obstacles here and there. Beautiful scenery along the trail. There was a time when it was becoming a ghost Mall. But since given a facelift it has reclaimed its place in the industry. The newly established food court gives it a competitive urge in this space. Quiet refreshing and great shopping experience. Still room for improvement. Great view of the golf course from the club house. Good food and reasonably priced. Every day, we help thousands of travelers plan great vacations. Here are some tips on how to use your Listing Page to attract more travelers to your business - Randpark Golf Club. Promote your permanent link - https://www.inspirock.com/south-africa/johannesburg/randpark-golf-club-a5389792601 - on your website, your blog, and social media. When a traveler builds a plan from this page, the itinerary automatically includes Randpark Golf Club. This is a great way for travelers looking for a great vacation in your city or country to also experience Randpark Golf Club. Promoting your link also lets your audience know that you are featured on a rapidly growing travel site. In addition, the more this page is used, the more we will promote Randpark Golf Club to other Inspirock users. For best results, use the customized Trip Planning Widget for Randpark Golf Club on your website. It has all the advantages mentioned above, plus users to your site can conveniently access it directly on your site. Visitors to your site will appreciate you offering them help with planning their vacation. Setting this up takes just a few minutes - Click here for instructions.